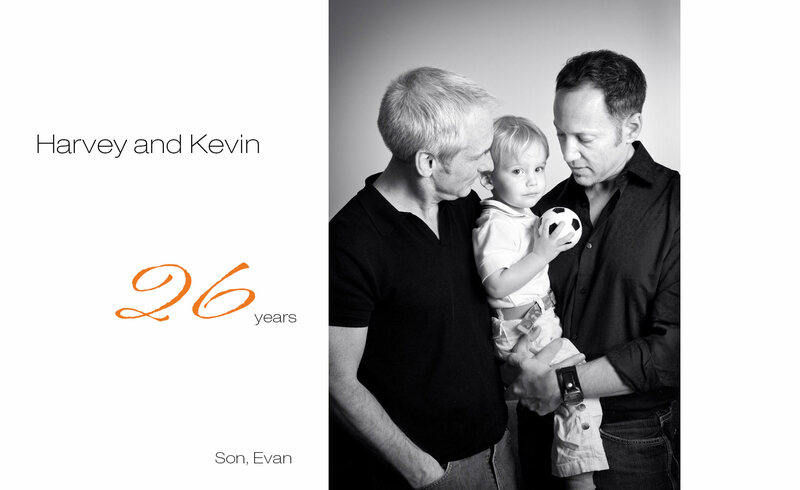 Harvey and Kevin have been together for 26 years. Gay dads. Photographed with their adopted son Evan in their home in Philadelphia.